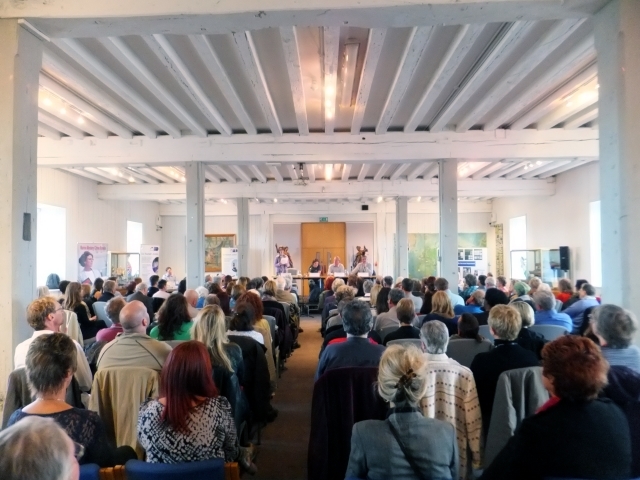 Over 130 people gathered at the National Museum of the Royal Navy in the Portsmouth Historic Dockyard on a blustery day, punctuated by the occasional shower, on Saturday 2 November 2013 to listen to two panels of crime authors, crime experts and police debate crime fiction and crime fact. 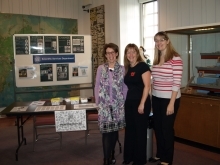 CSI Portsmouth was first launched in 2010 and was the brainchild of crime author, Pauline Rowson. It brings together crime fiction and fact. 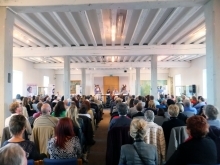 It is organised by Portsmouth City Council Library Service and the Hayling Island Bookshop and is part of Portsmouth BookFest. 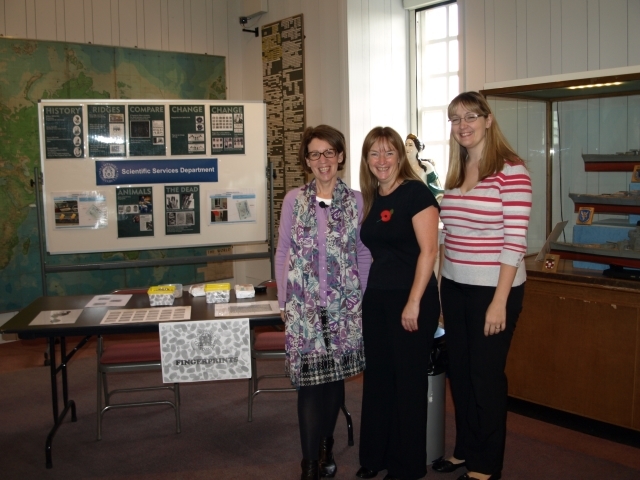 Along with the panel events also present throughout the day were the Hampshire Police Fingerprint Bureau team. 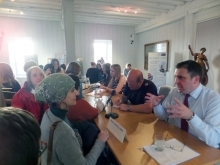 Emma Bright and Heather Foster were on hand to offer delegates the opportunity to have their fingerprint taken and pressed into a keepsake key ring to take away. Also a forensic display provided by the Institute of Criminal Justice Studies, Portsmouth University on Entomology (maggots, flies) finger mark development (chemical treatments), trace evidence, and DNA. 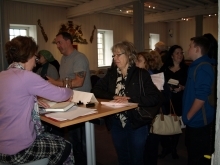 The Hayling Island Bookshop were also there with a selection of the participating crime authors books. Pauline Rowson opened the event by welcoming everyone to CSI Portsmouth and introduced the panel. 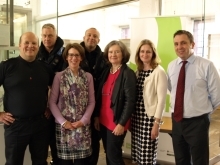 Along with her was crime author Kerry Wilkinson and crime experts Dr Alex Allan a forensic toxicologist from Triple A Forensics and Mick Ellis from Hampshire Police. 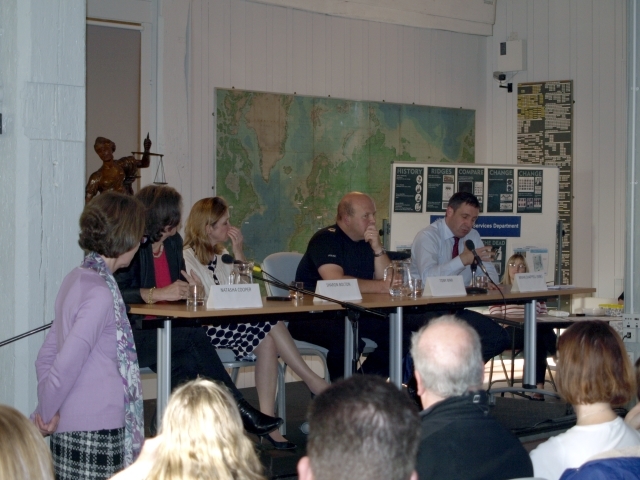 There was a discussion about the growth in smart drugs a big concern for police and health experts. Both Mick Ellis, from Hampshire Police and Dr Alex Allan a forensic toxicologist from Triple A Forensics talked about the dire consequences of using Cocaine and the personality changes the drug induces and how Heroin addicts will commit any kinds of crimes to get their next fix. Dr Allan discussed how he tests for drug use and he covered the use and analysis of volatile substances such as solvents, aerosol propellants and fuel gases still abused for their purported euphoric and sometimes hallucinogenic effects and the use of chloroform as a drug which is not so common now in the UK but is still used in some other countries. 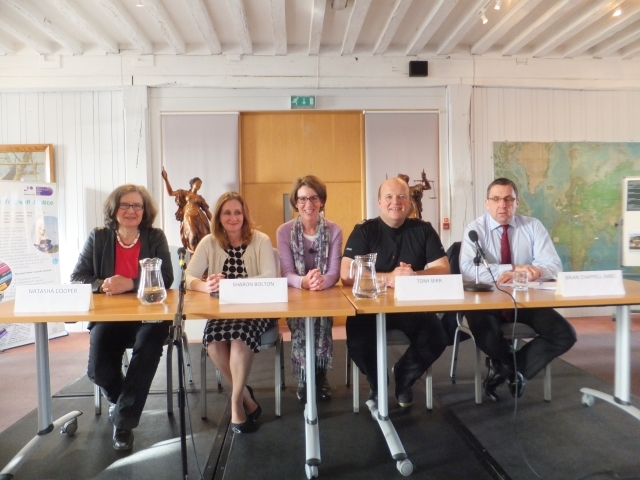 The debate also focused on international crime and serious organised crime and the role of the expert witness in trials. Kerry Wilkinson and Pauline Rowson talked about how they became crime writers and why they have chosen their locations for their crime novels. Kerry's DS Jessica Daniel novels are set in Manchester, a city of great contrasts with its mix of rich and poor and therefore provides a good canvas for crime novels, a sentiment echoed by Pauline Rowson in choosing to set her DI Andy Horton crime novels in the densely populated Island city of Portsmouth contrasting it with the rural landscape of the Isle of Wight beyond the Solent, the busiest port in Europe and one of the busiest in the World. 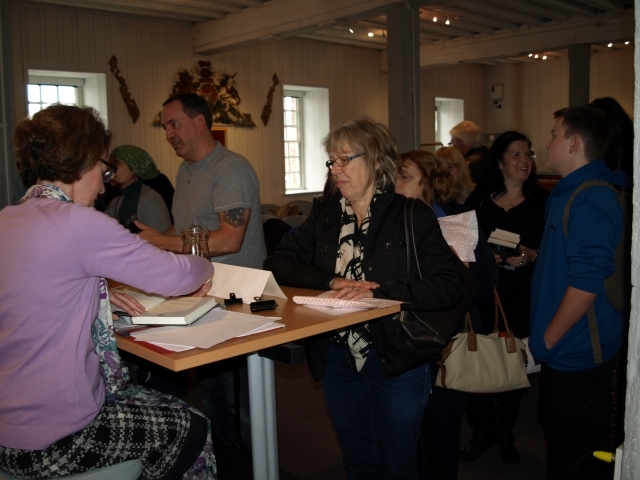 This was then followed by a book signing and the chance for the audience to chat to the experts and crime authors on an individual basis. Joining CSI Portsmouth in the afternoon were crime authors Natasha Cooper and Sharon Bolton and crime experts Sergeant Tony Birr, from Hampshire Police Marine Unit and Brian Chappell, former DCI New Scotland Yard now a lecturer at the Institute of Criminal Justice Studies University of Portsmouth. Pauline Rowson stepped down from the stage to act as a moderator and put questions to the panel. 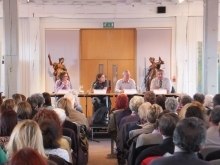 Natasha Cooper explained how her work in publishing made her appreciative of how tough it is to be a publisher especially in one of the most fiercely competitive genres, that of crime fiction. While Sharon Bolton, like Pauline, spent her early career in marketing and PR before turning to crime writing. 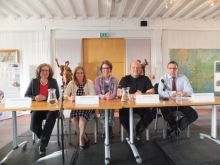 Brian Chappell joined the Institute of Criminal Justice Studies at the University of Portsmouth as a senior lecturer in April 2011 following completion of a highly successful thirty year career with the Metropolitan Police, New Scotland Yard reaching the rank of DCI. While Sergeant Tony Birr was the officer in charge of the Hampshire Police Marine Unit whose work includes counter terrorism patrols, the reduction and detection of marine crime, investigation of marine incidents and policing large events. 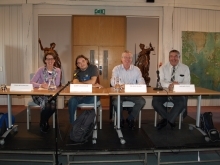 There were again, as with the morning panel, lots of interesting questions from the audience and a book signing to follow where the audience got to talk to the individual panellists. 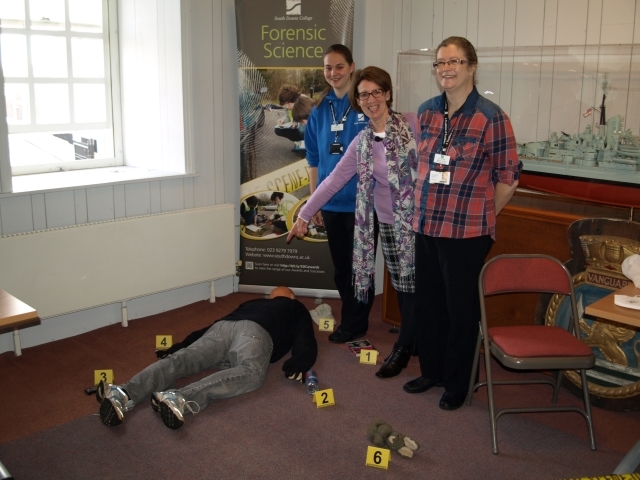 CSI Portsmouth 2013 was a highly enjoyable, entertaining and informative day with lots of food for thought for individuals to take away.